Whew! This week sure has been busy. But at least I had a luxurious and relaxing weekend full of friends, food, and fun before I then launched into a pretty intensive week. Friday evening we celebrated my friend Lisa's birthday with Asian/Pacific Rim style cuisine at Lemongrass restaurant. 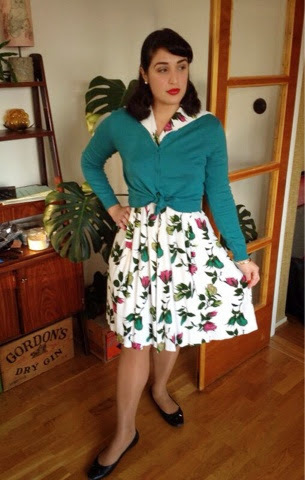 I'll take any chance I can to dress up, so I wore one of my not-vintage-but-vintage-inspired dresses- a pretty Bernie Dexter dress. I don't go out to restaurants too often, so I felt pretty indulgent when I went out on Saturday to another restaurant. If you're in Malmö and looking for a place to eat sushi, I would recommend Saiko. It's Skånsk inspired sushi (think Swedish pickled herring sushi or red cabbage sushi) but they also have really good quality raw fish. 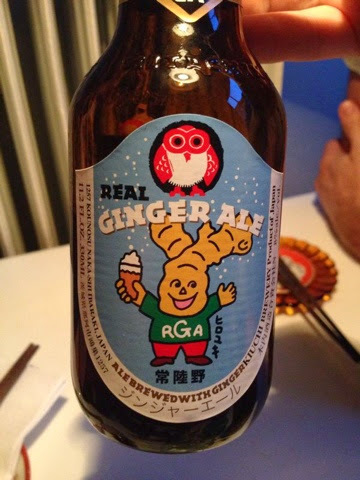 I ordered a Japanese beer brewed with ginger. The little ginger man on the label was too funny! Off to eat some sushi! 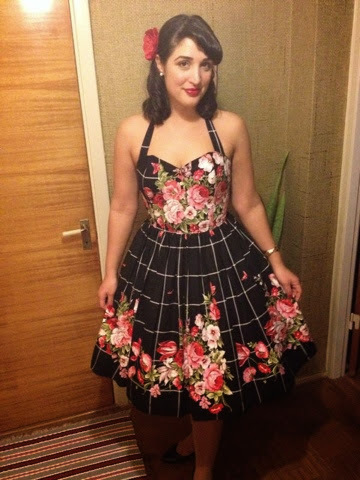 This dress I bought from FN92 last summer. I'm so excited to be able to start pulling out my warm weather dresses! Too Cute I love that you started doing this! Thanks for stopping by Oly808! I don't know who you are with that handle though!